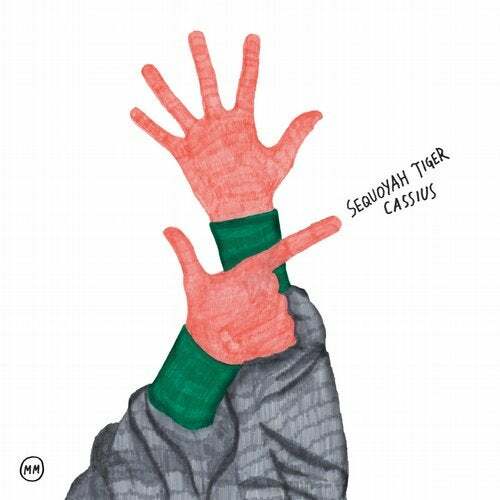 Cassius is the first single from the upcoming Sequoyah Tiger album "Parabolabandit" to be released in October 2017 on Morr Music. Sequoyah Tiger is the brainchild of Leila Gharib, songwriter and singer with a constantly shapeshifting voice from Verona, Italy. Following last year's Ta-Ta-Ta-Time EP, Sequoyah Tiger's debut album Parabolabandit expands Leila's distinct musical language, dragging us deep into her dark, twisted and sparkling fantasy. While exploring the limits and hubs of pop traditions, weird sound studies and vocal experiments, she comes up with bewilderingly beautiful songs in which vintage rock 'n' roll and present-day avant pop happily clash with electronic and acoustic elements, jagged beats and subtle rhythms, otherworldly shouts and confessional words.